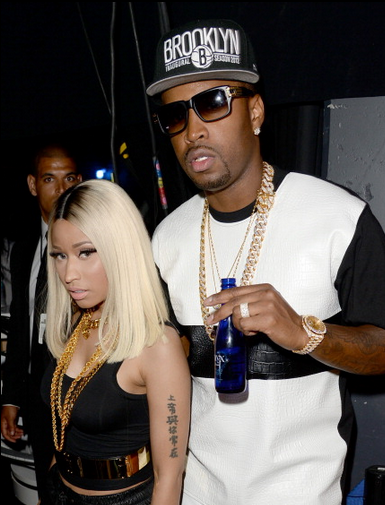 When Nicki Minaj stepped on the scene with Safaree Samuels, we always assumed that the two were holding each other down. Well yesterday, Safaree dropped a track titled “Love The Most,” in which he claims that was not the case. In fact, she was more concerned about herself. Though he never called her by name, the lyrics definitely raised some eyebrows. 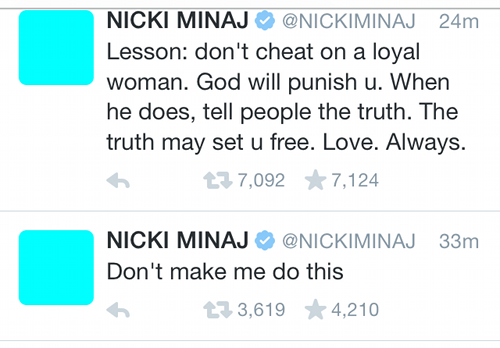 Nicki is never one to sit idly by while someone talks smack, so she took to twitter to offer some choice words… and then deleted them. Start from the bottom, of course. Hard at work on the Atlanta set of Barbershop 3, Nicki clearly didn’t get everything off her chest the first go-around, so she came back with these. Nicki also took the opportunity to talk about her very public relationship with rapper, Meek Mill, who she started dating after ending her 12-year relationship with Safaree. 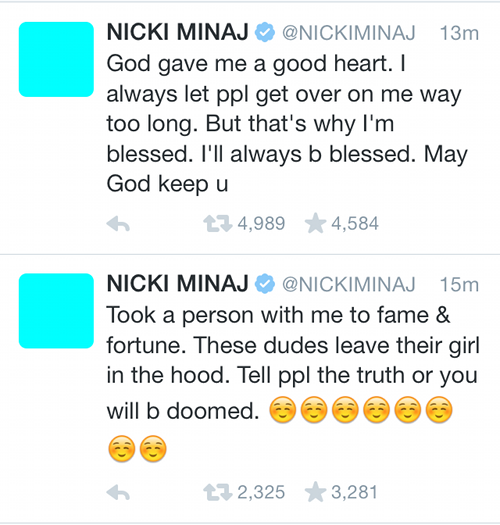 Safaree made mention of how she never showed him off when they were together. 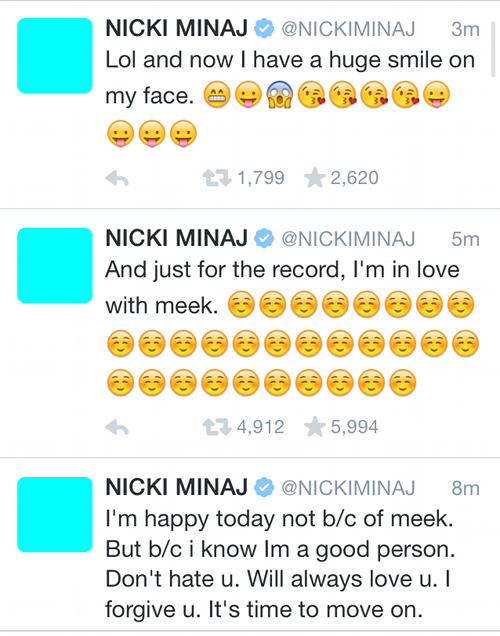 Nicki constantly posts about her new boo.